Interesting. Good Works as in John of Good Works? It just seems to me that John and you ought to be on the same side. There is some awesome Masonic art for sale in that store, check it out. I just assumed it was another Ronnie "Bring Oprah to Durham" Sturdivant project. It's not? 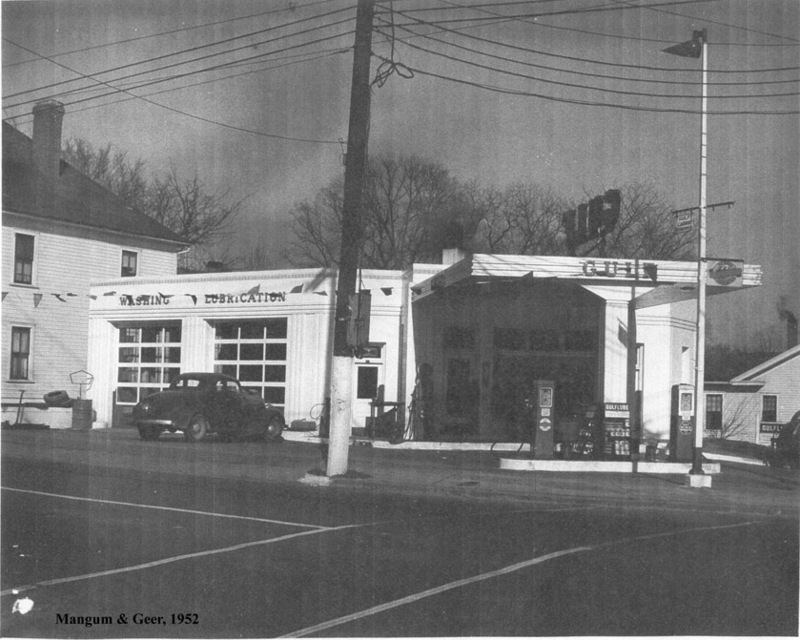 I have no picture of the frame house that stood on the northeast corner of North Mangum and West Geer Streets prior to the 1930s - by 1937, it had been replaced with a simple 'filling station' in the common style of the 1920s and 1930s. By the 1950s, this station had been expanded to include garage bays to the rear. I'm not sure of when this was last a gas station - by the 2000s the removal of the front awning and addition of siding had significantly altered the appearance of the building, which was mostly occupied by the "Good Works Bargain Store." On March 19, 2014, Bull City Cool, LLC, purchased this property with the intention of converting it into a local food hub. 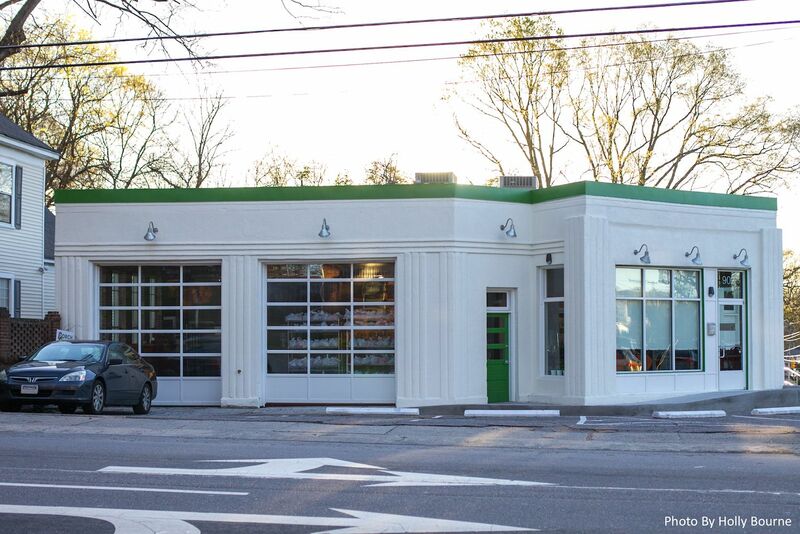 Local non-profit Reinvestment Partners founded Bull City Cool as part of their ongoing mission to revitalize this old North Durham neighborhood. This revitalization project was amazing to witness. Watch the video below to see demo of the old siding to reveal the original 1950's stucco. Additional construction photos are available at bullcitycool.com. The Bull City Cool Food Hub celebrated its grand opening in September 2015. Today it is a shared cool, cold and dry storage warehouse — as well as office space — where nonprofits and for-profits aggregate and distribute local farmers’ fresh food and flowers. 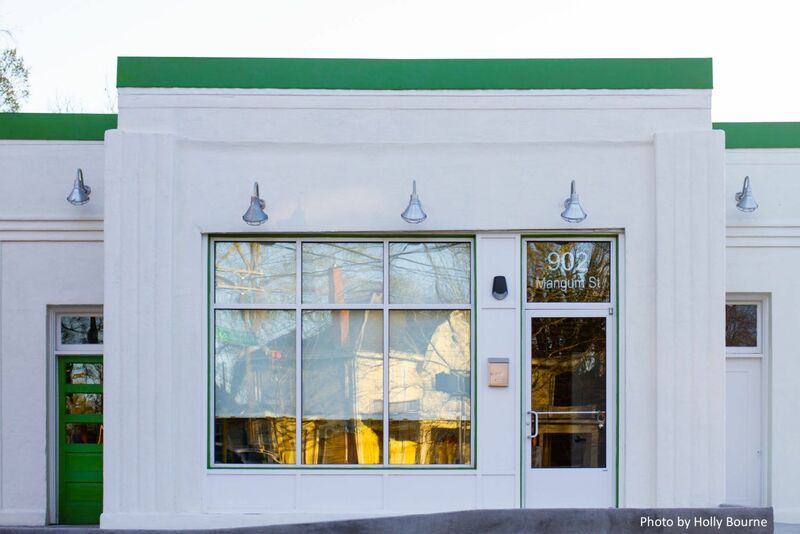 Bull City Cool's goal is to strengthen Durham’s local food ecosystem by providing space and connections that benefit local farmers, food businesses and hunger-relief nonprofits. This building was the subject of a What's It Wednesday?! post on Open Durham's social media accounts (Facebook and Instagram), the week of January 30, 2019. Follow us and stay tuned for more finds!